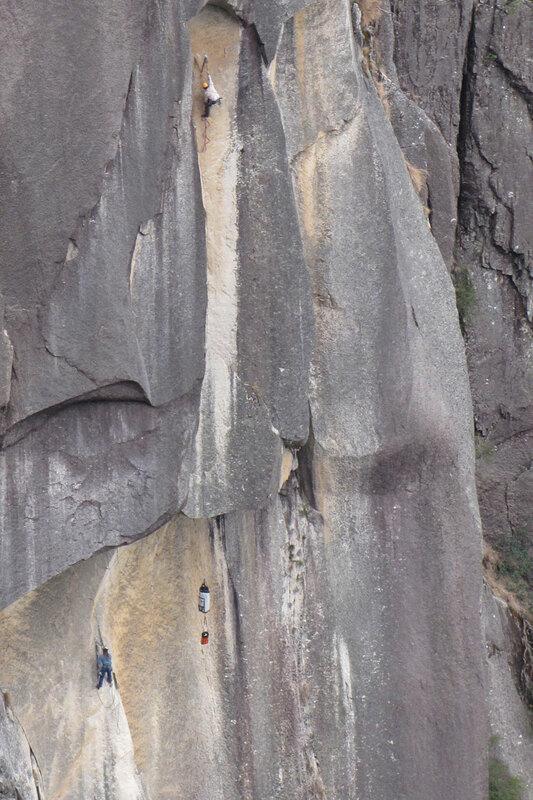 Mt Buffalo is home to some of Australia's best granite climbing. It delivers big wall climbing, crack climbing and slabs that will definitely get the heart going. Mt Buffalo is a proving ground for those heading overseas to places such as Canada and Yosemite which in turn makes it a fantastic training crag for a wide range of skills. Our instructors have extensive climbing knowledge and have delivered climbing courses for TAFE and University. Plus we just love to climb! Learn To Lead Climb: February 18th-21st, March 25th-28th, April 1st-4th, May TBC. September to December date TBC. Self Rescue Course: Feb 23rd-24th, March 23rd-24th, April 6th-7th, May TBC. September to December date TBC. * Please contact us if these dates do not suit. Alternate dates may be available. This is course is perfect for those with little or no rock climbing experience. The focus of the day will be to have fun on the rock whilst learning some new skills and conquering some climbs. You will learn the lingo, use all sorts of climbing equipment, expand your knot skills and climb in some spectacular locations on Mt Buffalo. It is also a great taster for more advanced courses such as top rope and lead climbing. This courses is aimed at climbers that would like to learn how to safely top rope climb. We will cover all necessary points including how to set up a climb, placing gear, how to belay correctly and how to manage a group. This course is great for social climbers, mums and dads wanting to take their kids climbing and those looking at getting out of the climbing gym and onto real rock. Our traditional lead climbing course is tailored for those wanting to explore the abundance of cliffs around Australia and the world. After completing this course you will have the necessary skills to climb safely and efficiently whilst placing natural protection. This course is suited to those transitioning from gym climbing to outdoors, sport climbers wanting to learn trad climbing and those who want to learn about traditional climbing on granite. This courses is aimed at climbers that would like to learn how rescue themselves and also how to rescue your climbing partner on the cliff. We will build your skills by starting off with how to rescue yourself. From there we will break down the processes needed when taking an injured climber down the cliff or raising them up to you. Discounted prices on climbing and outdoor equipment. Discounts on other courses offered by BAC.